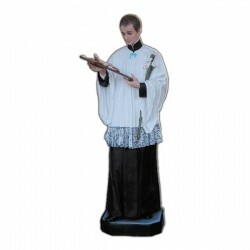 Statue of Saint Aloysius Gonzaga of 170 cm. Saint Aloysius Gonzaga was a jesuit. He was born on the 9th of March 1568 in Castiglione delle Stiviere and he died on the 21st of June 1593 in Rome. He was the son of Ferante Gonzaga the I, marquis of Castiglione, and of Mara Tana. When he was 18 years old he entered the Company of Jesus. He attended the infirms and, 6 years after, he died because he was infected. He was beatified in 1605 and he was canonized in 1726. Pope Benedict XIII named him special protector of the young students and Pope Pio XI proclaimed him patron of the catholic youth. 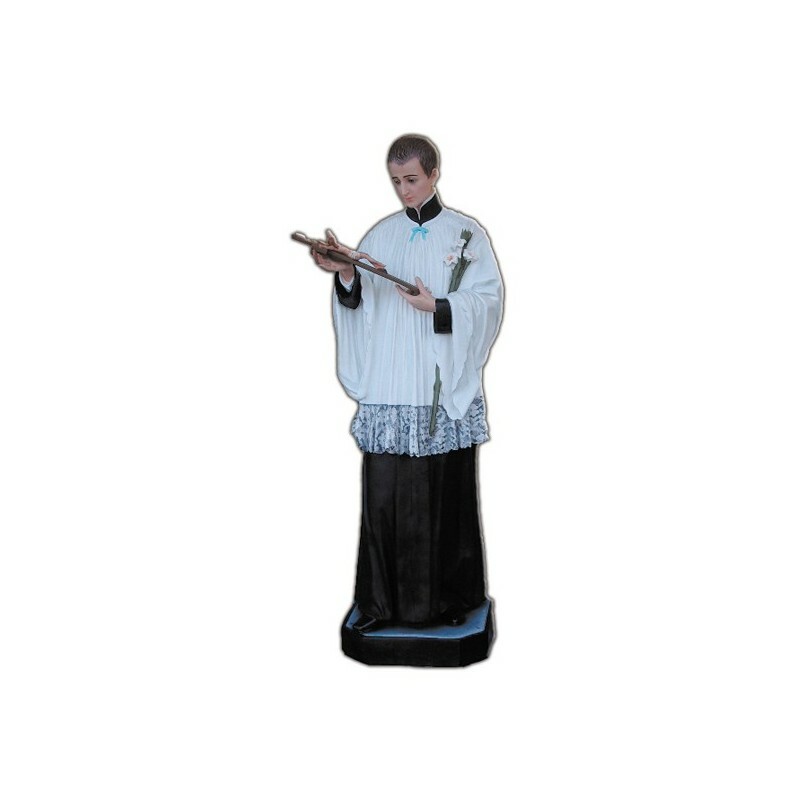 He is illustrated with the black jesuit clothing, with the white tunic and the crucifix in hands.